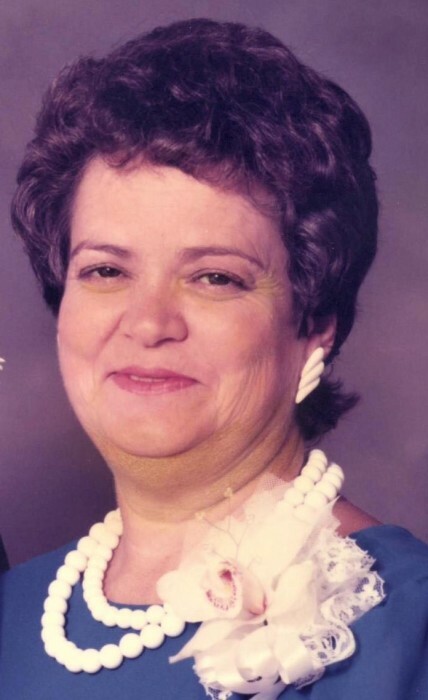 Joyce Ann Callaway Thomas, age 76 of Baxley, passed away Tuesday, August 28, 2018 under the care of Spanish Oaks Hospice in Hazlehurst. Mrs. Thomas was born May 7, 1942 in Baxley to the late Lemual Kelser Callaway, Jr. and the late Alice Beecher Callaway. She was a member of Woodlawn Baptist Church and was a retired floral designer and artist having been the owner and operator of Something Special Shop. Mrs. Thomas was preceded in death by her husband, Curtis Dillard Thomas. Survivors include her daughters and sons-in-law, Joy & Michael Brazell of Evans and Karen & Brandon Lewis of Hazlehurst; sisters and brothers-in-law, JoAnn & Berry Merier of Millen and Judy & Wymon Stone of Baxley; brother and sister-in-law, Larry and Judy Callaway of Surrency. Five grandchildren and one great grandchild also survive. Funeral services will be held Saturday, September 1, 2018 at 2:00 p.m. in the Chapel of Swain Funeral Home with Rev. Roger Daniels and Rev. Andy Williams officiating. Interment will follow in the Asbury United Methodist Church Cemetery. Active pallbearers will be Todd Ciepluch, Trevor Gibbs, Larry Callaway, Justin Wildes, Kevin Heath, and Austin Allen. Visitation will be Friday evening, 6-8 p.m., at Swain Funeral Home.